Wills, trusts, powers-of-attorney, all make life easier for caregivers when settling an estate. But that doesn’t mean it’s a quick and simple process. One executor of an estate recently shared her experience. When asked, “Briefly, what did being an executor entail?” her response was, “Briefly? That’s tough to do!” Think of it. You will be handling a wealth of details associated with your loved one’s life, down to canceling magazine subscriptions. She went on to share some of what she learned through handling this arduous process. In Part 1 we’ll share the resources needed to execute the estate. A lawyer will help you execute the will. This lawyer should be someone other than the lawyer who drafted the will. It is considered a conflict of interest for the lawyer who drafted the document to also execute it. Important reminder: Be sure to sign a retainer agreement, and before signing, find out what the fees are and what the lawyer will handle for you. She had to file a grievance against the first lawyer she hired because, after getting paid, he did little with respect to the estate. An accountant will help you sort out various tax forms and associated paperwork. You will need this for selling, redeeming, or transferring securities (investments such as stocks, bonds, or mutual funds). 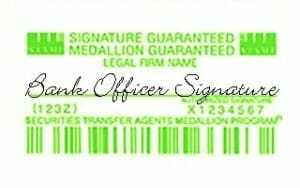 The medallion signature is a special document provided by a financial institution that guarantees a signature is genuine and that the financial institution accepts liability for any forgery. 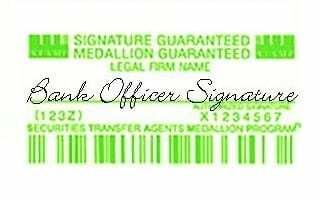 Getting this document can be tricky because the financial institution is assuming liability. She had to open a separate bank account just to get the medallion stamp. Then she closed it later. It will help to have copies of the death certificate handy for closing accounts. Keep in mind, however, that some companies might still give you the run around. Sure, you can handle the sale of the property on your own. [For Sale by Owner] But you will save yourself a lot of time and headache by hiring a real estate agent to handle the listing, showings, and paperwork (especially if you are out of town). How do you find a good, reliable, honest real estate agent in a town where you don’t live? While referrals are always best, you may need to search the web. If so, check reviews thoroughly. You may even check the Better Business Bureau for any complaints against a company you are considering. An organizer can help with a variety of things: organize garage sales, prepare the house for sale, and handle movers. There are companies, like the Betty Brigade, who do this professionally. This can lift a lot off your shoulders because they will be familiar with all the details that need to be addressed. There are companies that specialize in estate sales, which is more extensive than a garage sale and takes place in the house. 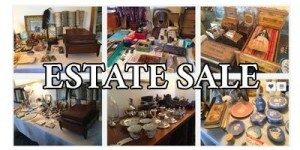 They will stage, price, and sell valuables from the home. Why use them? They can get you the best price for your items. And they will save you time and heartache. Your real estate agent may have a referral. Beyond the above resources, you may also need to hire other professionals, including those you may hire to make upgrades to the house before you sell it, like new flooring (carpet, wood floors, etc. ), painters, cleaners, outdoor maintenance. Be sure to keep track of all expenses (keep receipts) associated with handling the estate, from the services you hire, to any hotel stays and travel, if you are traveling out of town. You’ll need the receipts to charge the expenses to the estate, but also to help avoid suspicion of family members. The better you document the expenses and keep family members informed, the less likely you are to have conflicts through the process. In Part 2, we will talk about handling family dynamics. But in the meantime, go back and make sure that you and your loved have written a will and have established a trust for the applicable assets. That is, if you want to make life easier later.